“For effective flanks, a dog doesn’t need to be way out there…” says Scottish National Champion Neil Gillon to Paddy Fanning in this 5th short clip from the full 20 minute interview, in the run up to Series 2 of ‘A Way with Dogs’ sheepdog trials, launching in early 2019. Subscribe free now to our YouTube channel to be the first to watch the new Sheep dog Trial film series featuring top sheepdog handlers in the stunning countryside of North Wales. Watch here in HD or on CSJ YouTube. 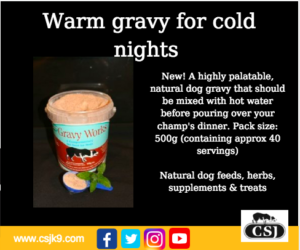 Review: Both our Labradors love having CSJ Gravy works with their evening meal. It make a lovely natural Gravy that I know won’t pile on the lbs, but still gives them a tasty meal. 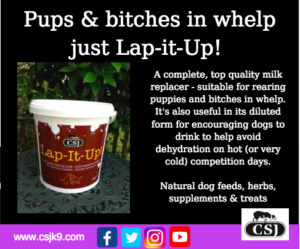 Review: gave Lap it Up to a litter and they loved it, even puppies dad was lapping it up! 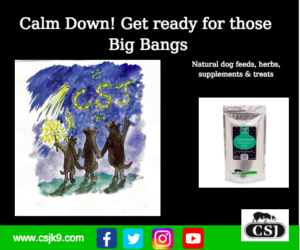 also great for dogs who need to gain a bit of weight. would recommend this for anyone raising puppies. Copyright © 2019 A Way with Dogs . Powered by WordPress. Theme: Accelerate by ThemeGrill.